You can have socks, televisions, books, barbecue, pharmaceutical drugs and nearly anything else delivered to you after buying it from internet retailers. But in 37 states you may not have wine sent to you from an out-of-state wine store or retailer. Your state representative—the ones who hear from local wine stores and local wholesalers urging them to continue to ban wine shipments—don't think you care. Show them you do. 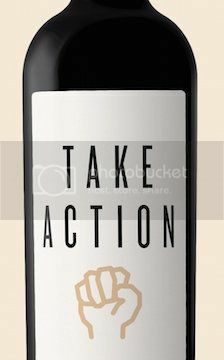 Take 30 seconds to fill out your address and send your state representatives an email asking them to support the direct shipment of wine from out-of-state wine stores and retailers. Unless they hear from consumers like you and not just from those who want protection from competition, the lawmakers in your state will never have your back. They'll never change the laws. They'll just keep ignoring your needs and keep protecting those who dole out campaign contributions and who whisper in their ear. Make yourself and your opinion known. Take 30 seconds to fill out your name and address below, click send, and we will make sure the message below goes straight to your state representatives telling them you want your Wine Freedom! Feel free to alter the message or send it "as is". As you may know, it is currently illegal in our state to receive wine shipments from out-of-state wine stores and wine retailers. I'm writing to ask you overturn this ban on shipments from out-of-state wine stores, wine retailers and Internet wine retailers. While I often buy wine from in-state sources, often I can't find the wines I want. This is because only a fraction of the wines available throughout the country are actually available to purchase in our state. I and every other citizen ought to have the right to purchase wines from other sources and have them shipped to me. Please support or sponsor a bill to allow residents to receive wine shipments from out-of-state wine stores as well as from out-of-state wineries.